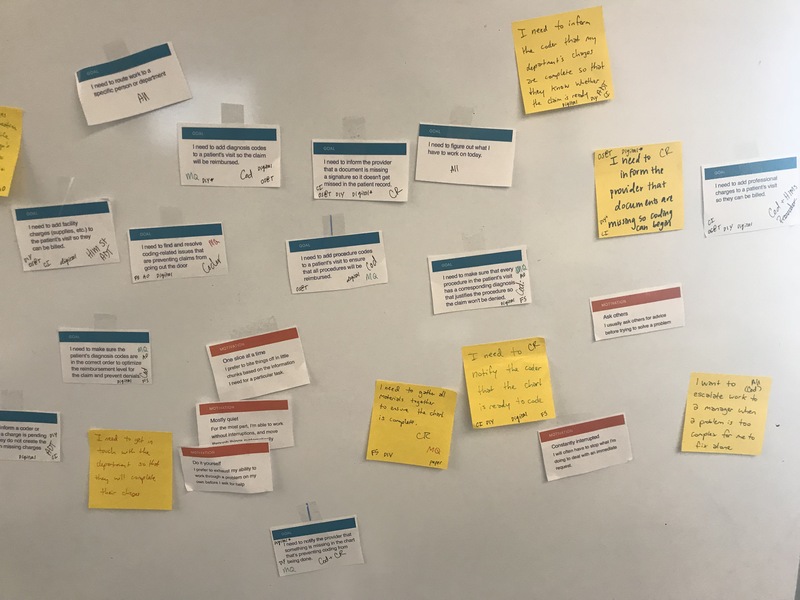 I worked with our scrum designers to move away from narrow role-driven personas to a mindset-driven model that worked across roles and jobs to be done. 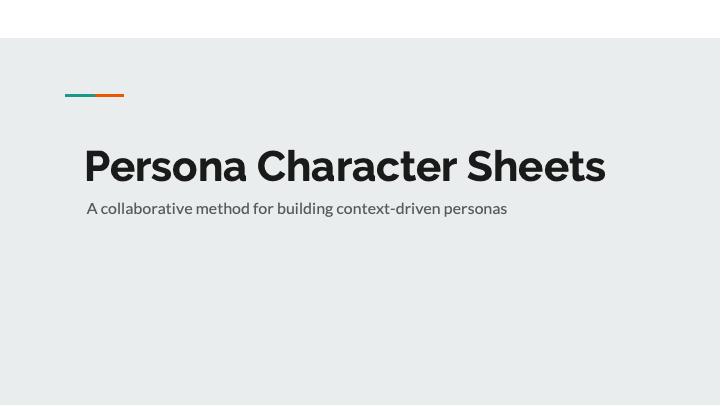 Working with designers within the Claims Readiness zone, I conducted an interactive persona character sheet workshop that mapped user mindsets and Jobs to be Done into a set of flexible, context-driven personas. The characters were shared with the product and development teams, and are being used to focus our design efforts. 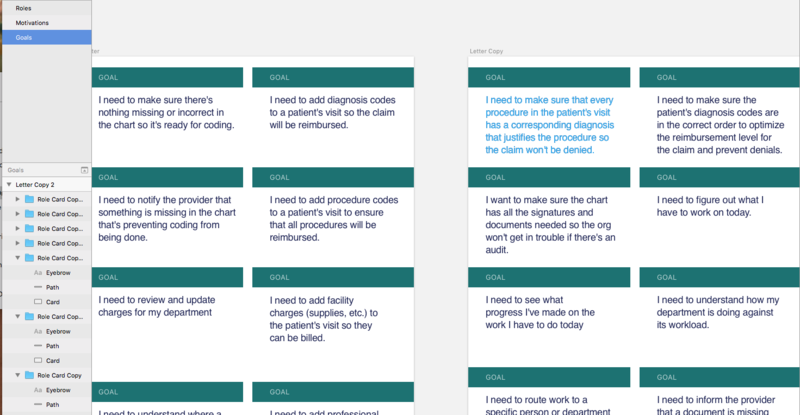 Traditionally, our personas were focused on user roles within hospital billing workflows: charge review, medical records, and coders. The challenge was that our workflows didn't map cleanly along those lines. Coders sometimes did charge entry; other times, it was done by clinical department techs. Chart review activities were sometimes done by dedicated processors; in other facilities, they were done by coders. I worked with product owners and designers to compile a comprehensive set of Jobs to be Done for our core user roles. 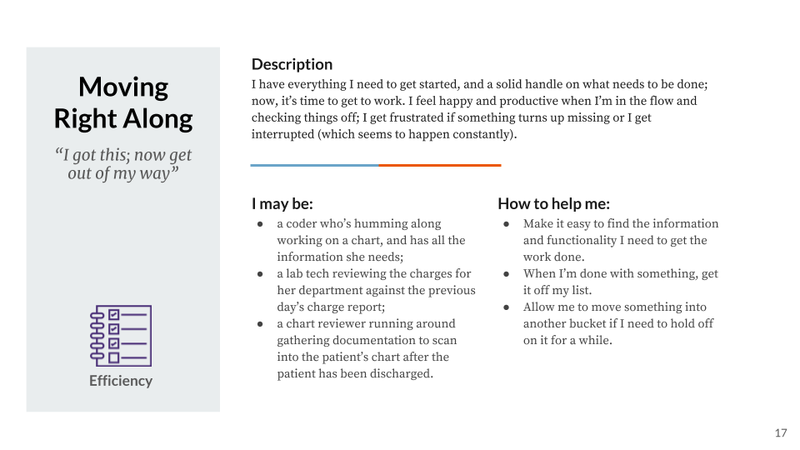 Along with this, I collected user roles, hospital types, and a set of typical mindsets that might apply to the different jobs. These were turned into a set of cards for the workshop. During the workshop, the scrum designers and I started by mapping the jobs to be done across the different phases of the claim preparation workflow. We then mapped mindsets and user roles to each job, and identified a set of key themes, which became our characters. The final characters were socialized among our product and development partners within the zone, and were included in experience briefs as feature work kicked off. Eventually, the characters started being used to enhance personas in other areas of the Collector product team. An example alignment from our presentation. Created the materials for, and conducted, the workshop. Documented the finished characters, and empowered designers to incorporate them into experience briefs. Socialized the characters across Collector designers, the Claims Readiness zone, and for the broader athenahealth UX group, via a presentation at our annual UX Retreat.